Sleep Apnea and the Continuous Positive Air Pressure (CPAP) Machine | Where It's AT. The Ability Tools Blog. Have you ever slept for eight to ten hours during the night and then woke up feeling exhausted the next morning, as if you had not slept at all? Have you ever felt an overwhelming urge to take a nap after being awake for only a couple of hours because the eight to ten hours of sleep didn’t feel like enough? This is the way that I felt each morning after what I considered a deep sleep. In fact I would take two naps a day for two hours a each day for three days a week and I was still tired. During an annual physical, I told my doctor about my sleeping problems. After discussing other options we decided that I should be tested for sleep apnea. The first test was taking oxygen monitoring system home and attaching the sensor to my index finger as I slept that night. I received the instructions that every time I woke up I should write down the time that I awoke on a piece of paper. After the fourth wake up I finally realized that I was waking up a lot at night but never realized it. Twenty percent of U.S. males suffer from sleep apnea, even though many don’t even realize it. 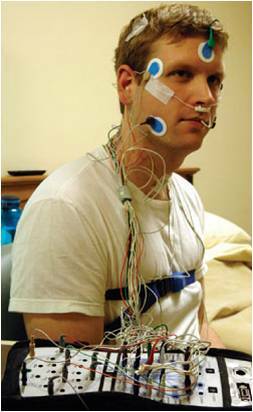 That is approximately 18 million people that either know – or don’t know – that they suffer from obstructive sleep apnea. Every year, almost 4% of men and 2% of women over 35 years of age are identified as obstructive sleep apnea sufferers. A shocking 90% of all cases are thought to go unrecognized, due to the fact that the symptoms are not easily picked up on by the sufferers themselves, and most do not know that there is treatment available to remedy the sleep apnea. After this night of restless sleep I took the oxygen monitor back to my doctor where they read the results and gathered more information. I was then referred to a sleep clinic for a sleep study. This was essentially like being in a hospital bedroom that had microphones and an infrared video camera in the room to monitor sleeping habits. They hooked me up to multiple sensors that would also help monitor my heart rate, brain waves and oxygen. During the night they woke me up and asked me to put on an air mask that was hooked up to a CPAP (Continuous Positive Air Pressure) machine. I slept the rest of the night with this mask on my face and the CPAP machine running. The next morning I awoke and went home – and took another nap! A couple of days later my doctor called me in to go over the results. He told me that I stopped breathing 7 to 10 times a night and my blood oxygen level went down to 81%. He said that he was prescribing a CPAP machine for me to use every night. When I heard this I realized that I actually was waking up multiple times every night. I still had thought it was just that I was uncomfortable and needed to find a new sleeping position in my bed or a new bed or pillow. However, this was not the case. The reality was that I had stopped breathing and was gasping for air. This personal revelation was very scary! The doctor explained to me, that, at night when I sleep my throat closesshut and does not allow air to move freely. He told me to imagine taking a straw and placing one end of the straw on my finger and sucking on the other end of it. The straw looses it shapes and becomes flat and no air can pass through it. This is what was happening to me every night I thought I was going to sleep. The CPAP machine helps you re-inflate the collapsed straw -or throat- and thus keeps your blood oxygen levels higher. 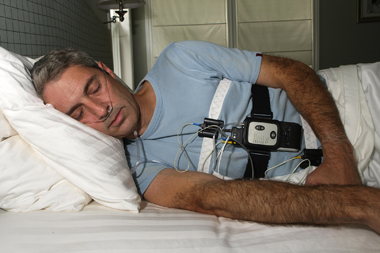 It took me a couple of weeks to get used to sleeping with the CPAP machine. I have now slept with this machine for over thirteen years and I cannot imagine sleeping without it. I wake up feeling refreshed after 7 to 9 hours of sleep every night and no longer need to take two hour daily naps. The CPAP machine is one of the best things that has happened to me – I am grateful for this life-saving AT device every night. Really good Entry! One of my consumers was diasgnosed with Sleep Apnea and the later it resulted into an Acquired Brain Injury (ABI)due to the lack of oxygen to the Brain. As an advocate i worked with the consumer, a vendor and his doctor and consumer got an Oximeter that would beep if his Oxygen levels went too Low! Tanks for the great post Kevin. 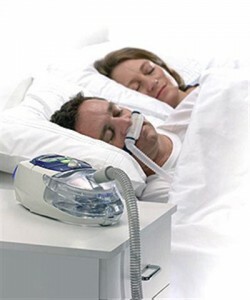 I was recently diagnosed with sleep apnea and just wondered where did you get your CPAP machine from? I’m currently pricing around trying to find something that isn’t too steep. My doctor suggested to go to http://www.thecpapshop.com, but I really don’t have another source to compare prices with. Any information would help a lot. Thanks! 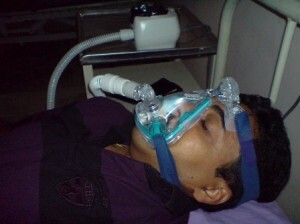 Very useful machine for casual breath during sleep. I guess we can get it online means cpap supplies every where across USA.